Are small business owners too busy for the latest tech? Most of us can sum up what we do with one simple label. “I work in HR.” Oh “I deal with the finances.” Or “I’m a Sales Director.” Now try and imagine those people on an average Thursday morning. The HR person smiling sympathetically over a glass of water as they question someone on their five-year plan; the finance person pouring over a calculator, and the Sales Director smiling brightly at the front of a meeting room, whizzing through a Powerpoint presentation. But what is your job title as small business owner? An average Thursday morning might involve calculating your annual profit in the morning, rushing off to pitch for a new client, and then dashing to interview a potential employee for your rapidly expanding business. Small business owners have a broad and varied skill set. What they don’t have a lot of is time. iCS Communications no longer really counts as a ‘small’ business; we have over 5,000 customers. But John Gillborn who founded the company in 1989 still runs it, and many of our employees and customers have been with us since the start. We may have a separate Finance department and HR department, but the office atmosphere has stayed fun and flexible over 27 years. It feels like only yesterday that John was running the business out of his front room, and we work hard to make our services as accessible and efficient as possible for small businesses. We see our role as taking one of those many job titles out of your hands. We don’t simply sell telecoms and business energy, we are consultants who will get to know you and your small business. We are not going to fill your inbox with lengthy product sheets comparing the intricacies of hosted PBX versus a VoIP system. Tell us what you want from your business energy and communications, and we will tell you the easiest, most efficient, and cheapest way to do it. 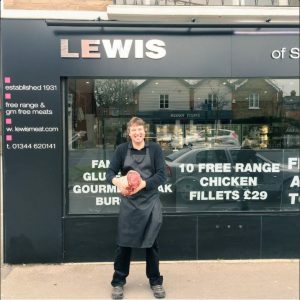 Earlier this year, we saved our local butcher Nigel’s small business £1800 – and look how chuffed Nigel is. If you want to save money on your business telecoms and energy, but think you don’t have the time to sort it out, contact us on 0800 9 77 88 99 or email sales@46.32.240.35 or visit our website www.icscomms.co.uk.